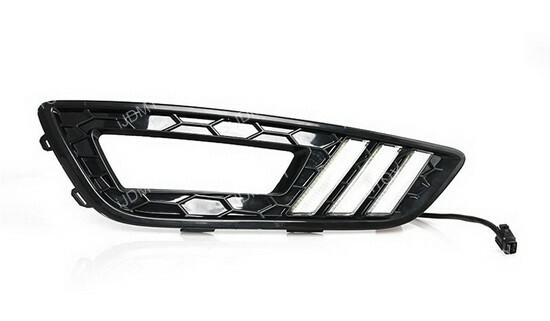 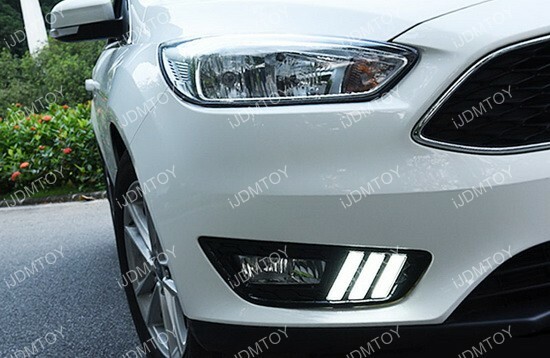 Please note that this LED DRL fog lamp bezel kit will only fit the 2015 and later Ford Focus S/SE/SEL/Titanium Sedan/Hatchback. 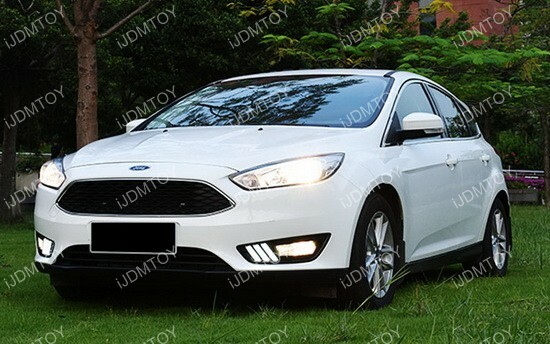 It will NOT fit the RS, ST or Electric models. 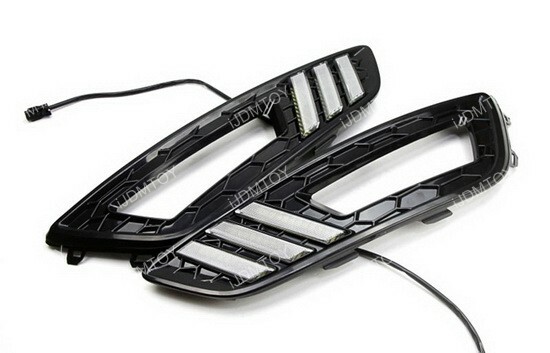 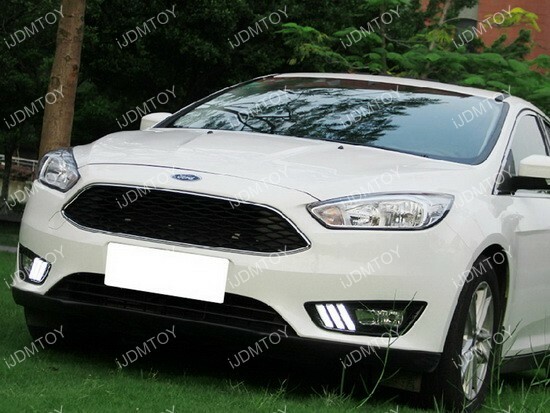 Q: Will this LED Daytime Running Lights fit on my Ford Focus? 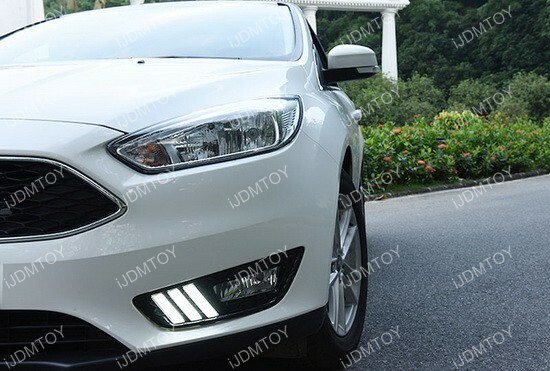 A: This LED daytime running light kit will replace the 2015-up Ford Focus stock fog lamps or the lower bumper inserts for non-fog lamp trims. 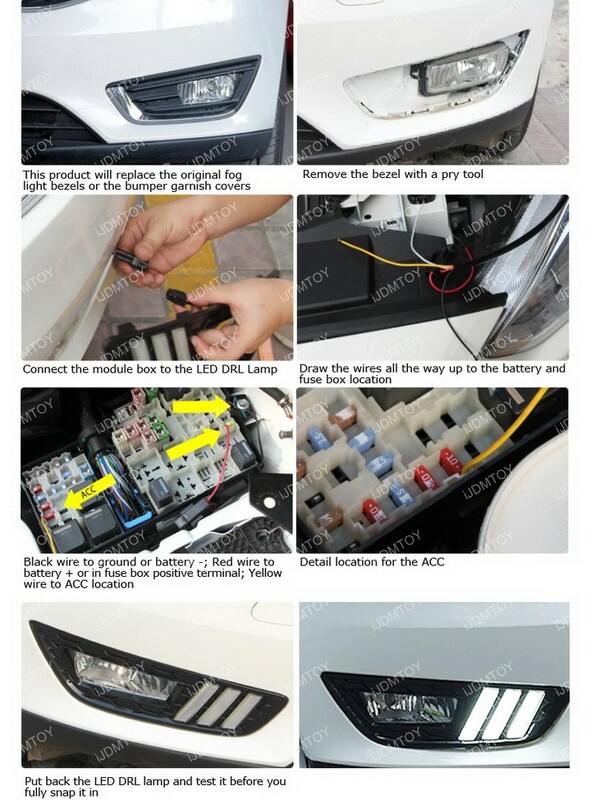 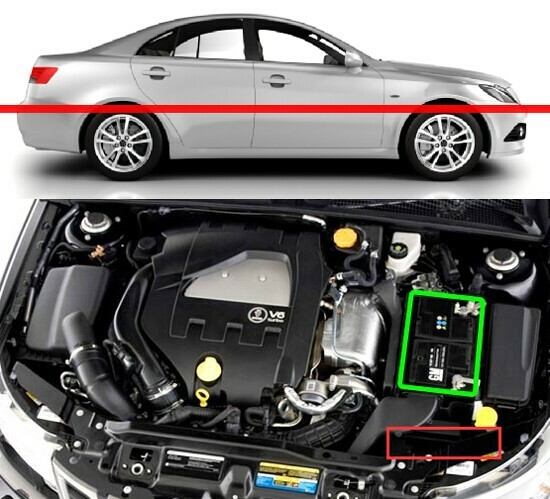 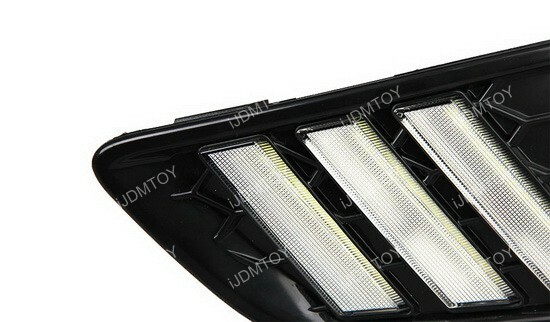 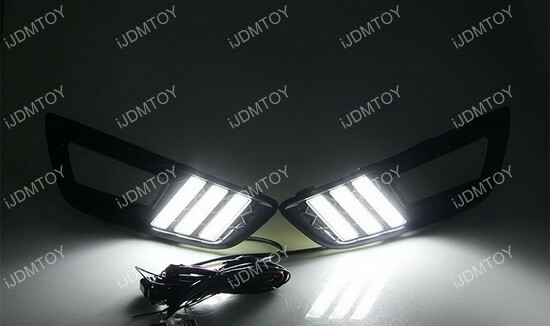 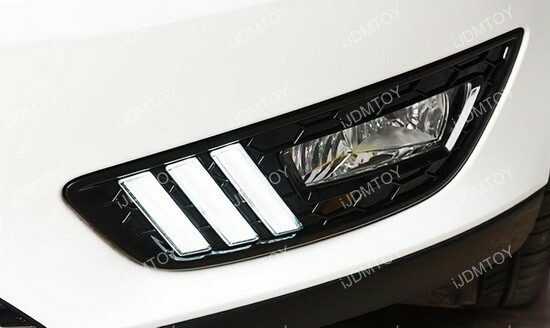 Q: How do I install this LED daytime running light? 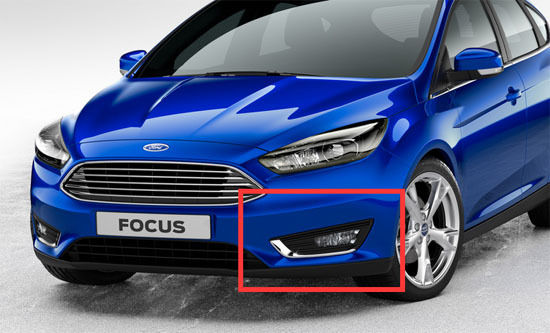 A: Check out this quick guide to demonstrate how to install these new LED daytime running lights on your Ford Focus. 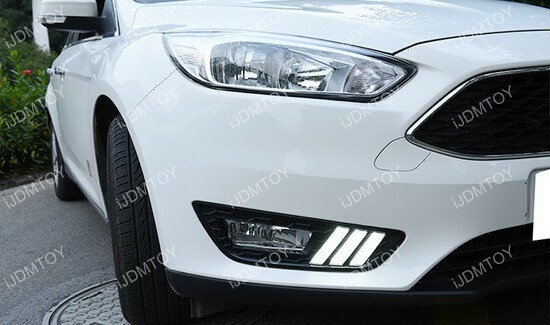 Give your 2015-up Ford Focus a bit of an aggressive touch with these exact fit Mustang-style LED daytime running lights. 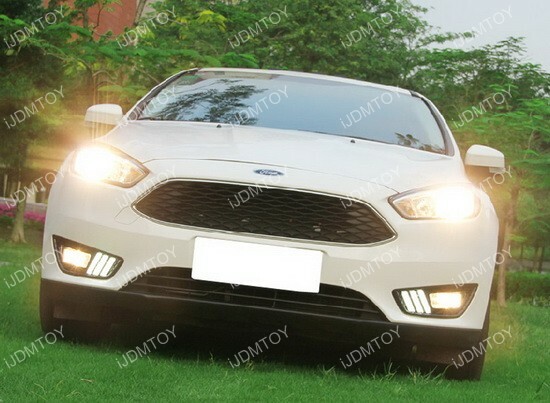 This set is powered by 36 pieces of high power LED lights with a 5W output to display the trio of LEDs seen on newer Ford Mustang models. 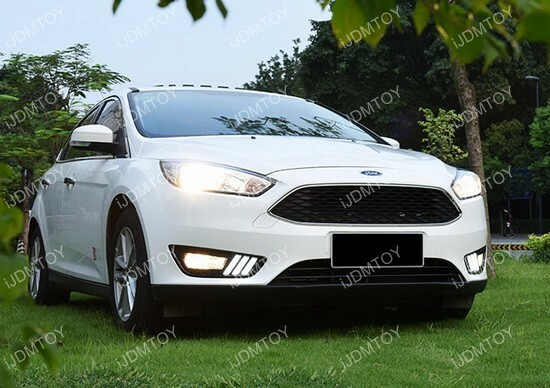 This set is a direct replacement of the existing fog lamp bezel covers or it can even replace the lower bumper inserts for non-fog lamp trims. 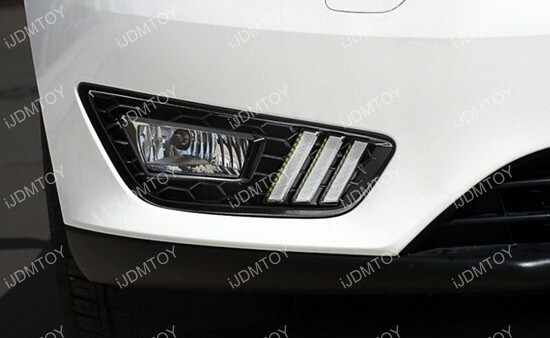 This gives you the option to add fog lamps in the future if you choose. 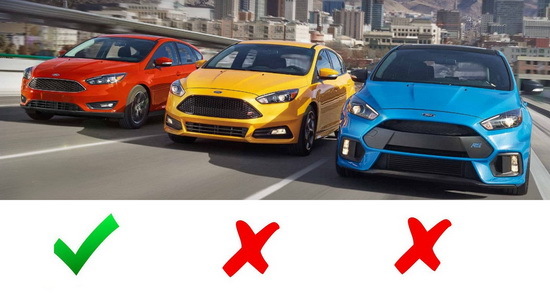 It's time to switch up your reliable Ford Focus to give it a hint of a sporty beast while still maintaining everything you love about your car. 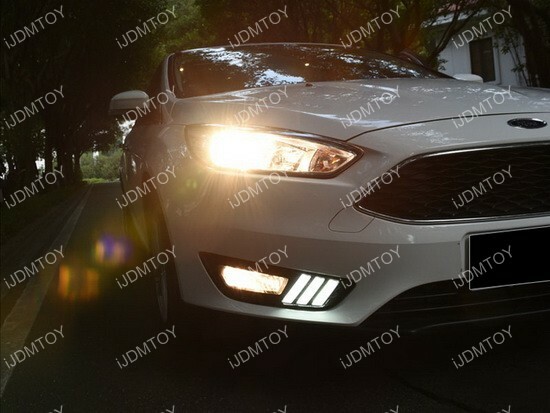 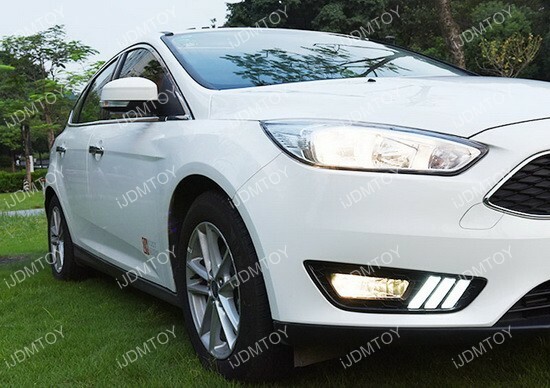 Please note: this LED DRL fog lamp bezel kit will only fit the 2015 and later Ford Focus S/SE/SEL/Titanium Sedan/Hatchback. 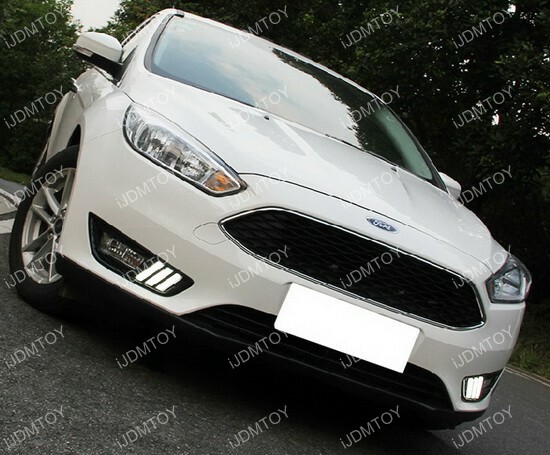 It will NOT fit the RS, ST or Electric models.